Love colour, but don’t want to overdo it? Then this design will work great for your living space! With the perfect contrast and delicate balance of the warm rust and the cool teals, this room is sure to wow, without being too loud. The rust sofa is spacious and uber soft with zipped covers to easily wash off, what the sticky fingers may leave behind! The wood legs lend a beautiful touch of detail to this main sofa. It also boasts of good spring support and is low enough to cuddle in for those family nights, making this sofa even more special! The teal chair is also of great quality and is just the right shade of teal. Not only is the teal colour just beautiful but the soft curves gives it a very modern shape with the tapered mid-century wood legs. The synthetic rug adds that sophisticated splash of abstract art on the floor, tying in all the colours together beautifully! Great for holding up dirt, unlike light coloured rugs, and is thin enough to easily be dry-cleaned or brushed off. Very soft under the foot, and very affordable on the pockets. The wood and brass coffee table is so simple, yet so elegant. With the beautiful wood grains and sleek brass legs, it carries so much style, yet not too loud. 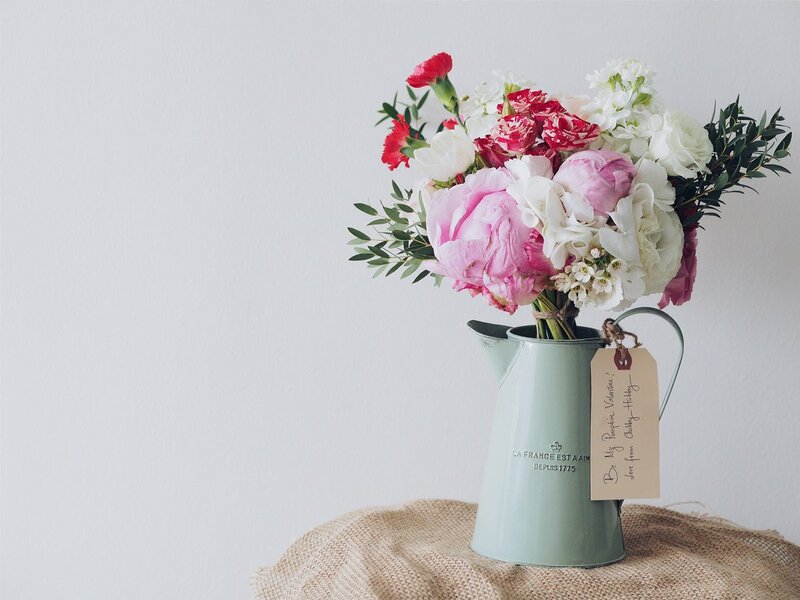 A perfect balance for all the colours and patterns in the room. The main light adds that much needed drama, with varying heights, a gold banding across the glass and twinkling lights shining right through! The cushions are carefully chosen to match. Paint choice chosen here, is of a neutral shade to balance all the colours in the room. And finally the soft gold leaves are added on a feature wall, with the neutral paint background, accentuating beauty all around ! One weekend is all you need at the fraction of the cost of regular design services! Simply have fun browsing through our design boards below, purchase one or more boards. You will then receive the list of shops and all the item codes. You can now buy all the products listed, style your space over the weekend and enjoy being your own designer! So what are you waiting for?? If you love any of the designs below, grab them while stocks last ! These design boards will remain only till its validity date or until stocks of the items on the board, last ! DIY Your Well Designed Home Over Just ONE Weekend! This design is exclusively for the nature lover! The super comfortable sofa with its sweep arms and back cushions is not only stylish and has the right height (its not too low or not too high) but even the fabric is of good quality. It's just that perfect off-white sofa - a great neutral base for all the accent cushions! If you are worried about staining this couch, I have included an option of stain guarding your fabric sofa! On this board, I have included a variety of cushions in natural colour, black, white & some blues. There is a hint of tribal influence with the handmade rattan tribal plate and the elephant motif cushions. 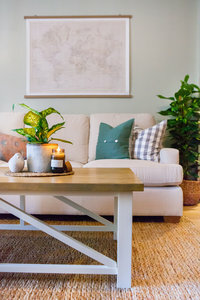 The soft green paint lends that much needed grounded harmony among all the items in the room, making not only the sofa pop, but complementing the blue rug. The blue rug, is a soft viscose/cotton rug with patch work design on it, very easy to maintain and dryclean. With its simplistic design and shape, and the natural element of wood, the vases in varying heights adds a lot of texture . To add some more texture, without adding colour, brick wallpaper is included on this board. The curtains included are a soft white fabric, with a slightly irregular texture, that allows daylight in, while also giving some privacy. Its weave pattern creates a comfortable feeling of warmth and light in the room. The ceiling pendant light with its tropical vibe, is handmade using natural rope on a metal frame, creating a classic and simple statement light. The rope refracts the light making pretty patterns on the ceiling and directing the light downwards for a soft, warm glow! One of our favourite pieces on this board is the reclaimed wood coffee table. The coffee table with the natural, highly textured raw wood and its fabulous simplistic design with clean lines, makes it a great conversation starter ! To complete the natural look and feel of the room, we threw in some pots and plants for good measure! This bedroom is any minimalist’s dream! The word Serene is written all over it! The show- stopper is obviously the beautiful mural with the layered mountains in a very soothing blue colour. It even lends a touch of abstractness and an artistic touch with the shapes of the mountains and the mist of the clouds. To contrast the blues is a gold pipe like bedside lamp. Not only is it a great accent light for the room, but adds the much needed warmth to the room with its gold tones. A light blue and grey rug is added to this design, very soft on the feet with a very simple pattern, noticeable only at the second glance. The rug can serve as a great base to spread out your yoga mats and enjoy some quiet time in this already serene room! To add some texture to this, the bedding chosen was white. The bed is also all white furniture. To add more texture and a pop of colour, without the colour standing out too much – is this beautiful velvet cushion. Its not your regular dark blue cushion, its an almost sea-like deep blue colour that goes so well with the mural. 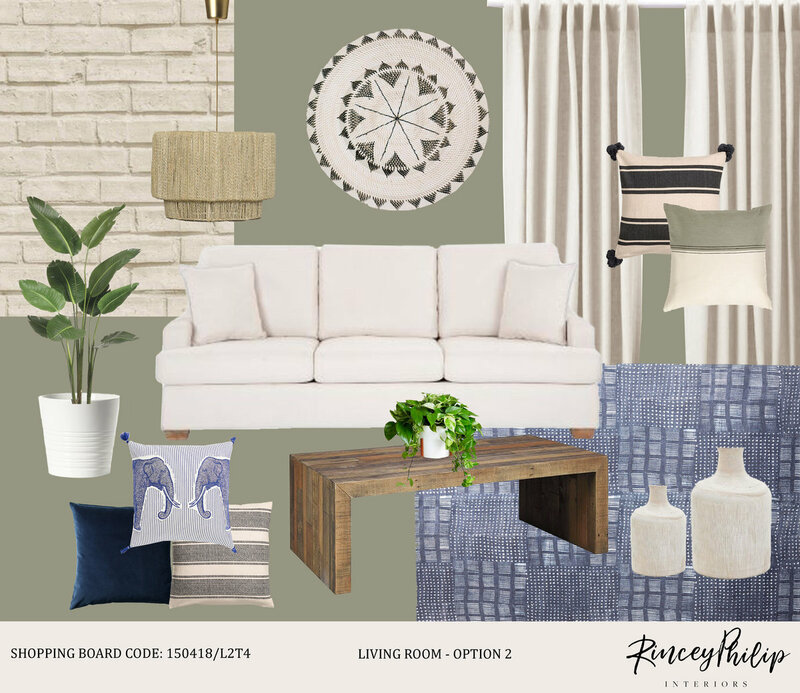 A soft grey black-out curtain is added in this design, followed by some faux planters to add some interest to the room. What we really love about this design, is the beauty in the contrast of the almost pink like brick orange wall paint colour and the deep green colours in the art and the cushions. The art in this shopping board is the main focal point. Flanked by a white frame, with the background of the warm earthy wall paint colour, the room already looks very artistic. 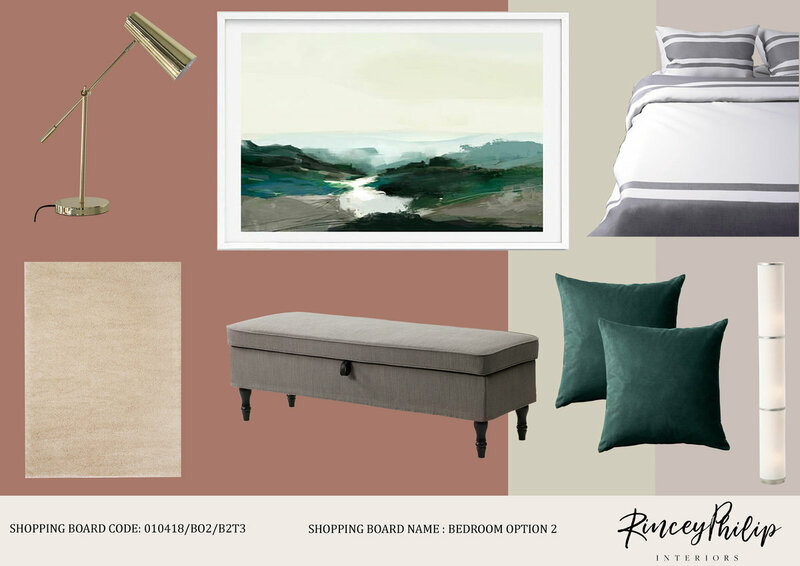 To keep it simple, two velvet accent green cushions are propped on the bed. Balancing the rust and the emerald green, is the simple design on the duvet cover with white and grey stripes. And to balance the grey, we added some texture and storage, in the bench seating at the end of the bed. A gold accent light is added – this can be used as bedside lamps. Even a floor lamp is added to give the room some soft bounce of light as well. The rest of the walls are painted in a soft neutral shade of earthy whites. Finally, how can we not end this makeover with a soft light rug under our feet? 1. Okay, I liked a design, what do I do next? Fill in the form below and check your Inbox. You will receive a Proposal, a Contract to e-sign and an Invoice to pay for. 2.Once I buy the shopping board, what happens next? You will receive all the details of the listed items. This will include where to shop from, the item code and the prices of the items. 3. Are these boards time bound? Most definitely yes! As soon as the items on the board go out of stock at the stores, these boards will be brought down. So, if you love the design and would like to implement it at your home in the next week or so, its best to grab it quick! 4. Do I have to pay for all the items in the shopping board? No. You pay only for the shopping board itself. 5. How can I pay for my shopping board order? Your invoice will have our bank details. You can do a simple bank transfer and as soon as we confirm payments, your order will be on its way to your inbox. 6. Will you shop the items and set it up for me? We'd love to, but unfortunately, no. 7. What if I want you to shop and set it up for me? For an additional charge of AED 2,450 ; you can use our services to help set up your place. Here we will work on your home layouts and even replace the items that are out of stock on the Design Board, at the time of the Makeover. We will take over the project management for you and ensure that all your needs are met! This service also works cheaper than a Full Makeover service. 8. What if the products on a design board go out of stock? We guarantee availability of products for up to 48 hours after purchase of the board. Within 2 days of receipt of payment, if the item goes out of stock, get in touch with us and we will be happy to help you with a similar replacement for up-to 2 products. 9. How can I be sure if the products will fit my space? The products showcased are of standard sizes. You are free to buy the size you need, according to the space available, keeping the colour scheme in mind. 10. Can I give this as a gift? Yes, you most definitely can! Who doesn’t love a gift of a fabulous makeover? Just know that these designs are time-bound and the items on the board have to be purchased within the validity dates mentioned on the board. 11. Will I actually get the exact products as shown? Yes, the products shown in the shopping boards are the actual products and it will be available at the store till the validity dates mentioned on the design board. 12. I need to know only the source of a few items on the board. Can I still buy the board ? Of course yes! 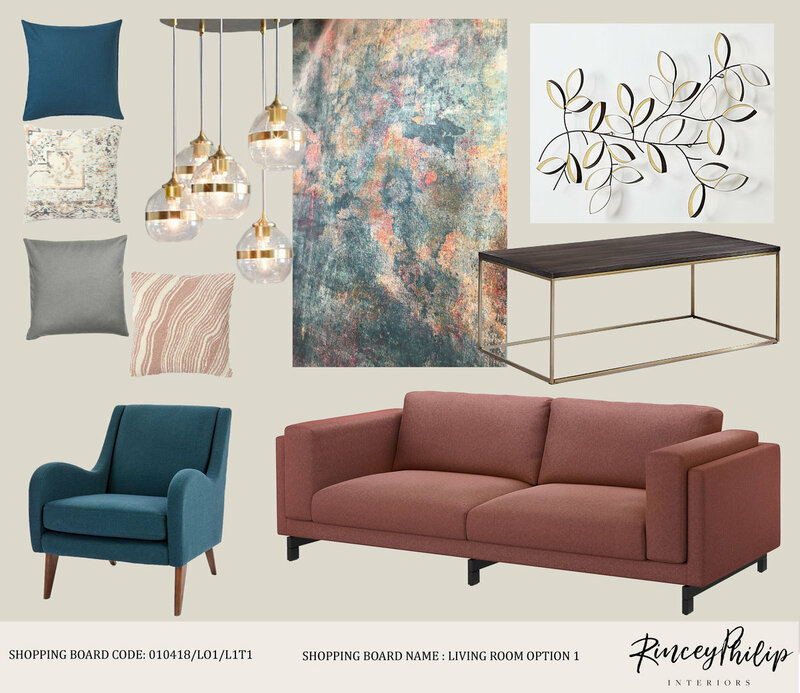 You may already have furniture, but if you feel adding those few more pieces or accessories will get your room to look stunning - then why not ? What you spend for the board will still be worth every fil! 13. I can see the design here, can't i just copy them? I still do not understand what am I buying? Yes, the design showcased here is only a design until you know where to pick up all the items from. When you buy a Design board - You buy the design AND its sources. This will help you easily go to the right store and pick up only all that you need and know with full confidence that your room is going to look fabulous! This works great for people who have no time to waste hunting for items in 30 different furniture shops in UAE and wonder if what they pick, will ever match! We have done the figuring out for you! Ready to Purchase a Board ? or Have any questions for us ? Fill in your details below and we will be happy to help out ! 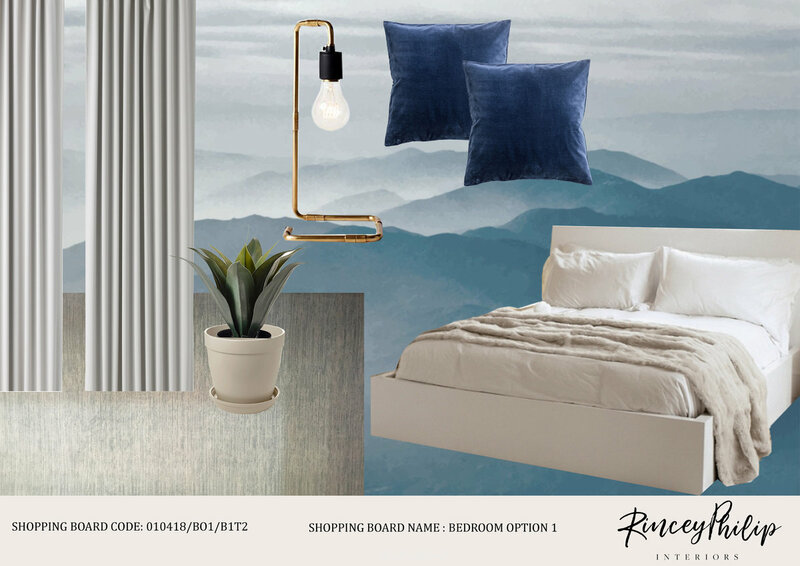 © 2018 RINCEY PHILIP INTERIORS.